A Soyuz rocket delivered a Russian military intelligence satellite to orbit Thursday after lift off from the Plesetsk Cosmodrome in Russia’s far northern Arkhangelsk region, the first flight of a Soyuz variant since an aborted crew launch earlier this month. 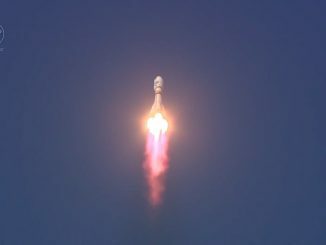 The Soyuz-2.1b rocket lifted off at 0015 GMT Thursday (8:15 p.m. EDT Wednesday) from the Plesetsk Cosmodrome and headed northeast with the military payload, widely believed by analysts to be the fourth in a series of Lotos satellites designed to intercept radio transmissions and gather intelligence for Russian military forces. The launch occurred at 3:15 a.m. Moscow time Thursday. Thursday’s flight was the first liftoff of a Soyuz rocket since an Oct. 11 accident that led to the emergency landing of Russian cosmonaut Alexey Ovchinin and NASA astronaut Nick Hague soon after launch from the Baikonur Cosmodrome in Kazakhstan to the International Space Station. The human-rated version of the Soyuz rocket is known as the Soyuz-FG and includes a different upper stage engine and guidance computer from the Soyuz-2.1b launcher used on Thursday’s mission from Plesetsk, a military-run spaceport around 500 miles (800 kilometers) north of Moscow. 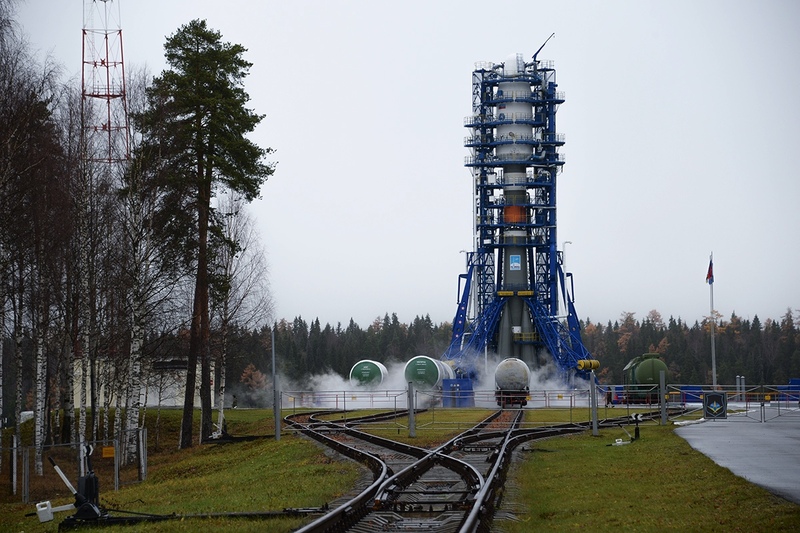 But the basic design of the rocket’s liquid-fueled boosters and core stage is the same on both Soyuz versions. While Russian investigators have not released a final report into the Oct. 11 launch failure — the first abort by a Soyuz crew since 1983 — Russia’s Novosti news agency reported Oct. 20 that officials believe one of the rocket’s four first stage boosters was improperly attached to the core stage. That caused a collision between the components during a botched separation sequence around two minutes after liftoff. The Soyuz MS-10 spacecraft carrying Ovchinin and Hague detected the accident and immediately fired escape thrusters to propel the capsule away from the failing rocket. The duo safely landed downrange in Kazakhstan. Russia’s space agency, Roscosmos, has suspended crew launches using the Soyuz rocket until the investigation into the Oct. 11 failure is finished. Thursday’s launch was the first of up to four Soyuz rocket missions planned before the next crew climbs aboard a Soyuz spacecraft to head for the space station. A Russian Glonass navigation satellite is set for launch on a Soyuz-2.1b rocket from Plesetsk on Nov. 3, followed by the launch of a Soyuz ST-B rocket from Kourou, French Guiana, on Nov. 6 with a European polar-orbiting weather satellite. Russia’s Progress MS-10 cargo freighter is currently scheduled for liftoff Nov. 18 from Baikonur to deliver several tons of supplies, fuel and water to the station. The Soyuz rocket’s slate of satellite launches in November could clear the way for liftoff of the next space station crew Dec. 3. 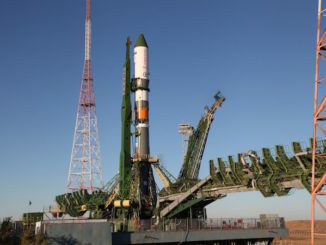 Russian Soyuz commander Oleg Kononenko, Canadian flight engineer David Saint-Jacques and NASA astronaut Anne McClain were scheduled to launch Dec. 20, but their blastoff is expected to be moved forward, assuming the upcoming Soyuz rocket flights are successful. The three-person crew currently on the space station, led by European Space Agency commander Alexander Gerst, has been in orbit since June, and their Soyuz landing craft’s certification expires in early January. 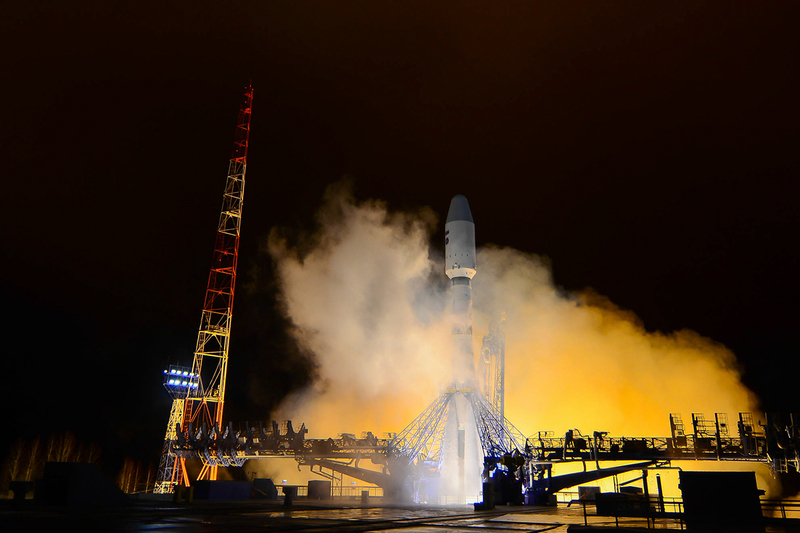 The satellite payload lofted Thursday from the Plesetsk Cosmodrome is the fourth Lotos S1 military intelligence satellite built for the Russian Ministry of Defense. The defense ministry said in a statement that the Soyuz rocket successfully released the spacecraft into the planned orbit, and ground controllers established a stable communications link with the satellite following deployment. 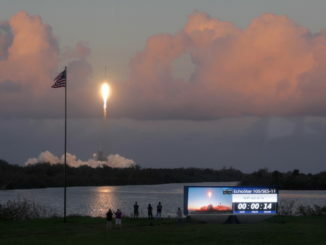 U.S. military tracking data indicated the satellite was circling Earth in an orbit ranging between 148 miles (239 kilometers) and 559 miles (901 kilometers) in altitude. The orbit’s inclination, or angle, to the equator was 67.1 degrees, according information published in the U.S. military’s catalog of human-made space objects. That orbit matches those from the three previous Lotos satellite launches using Soyuz rockets in 2009, 2014 and 2017. A rocket thruster on-board the newly-launched Lotos S1 spacecraft is expected to maneuver the satellite into a 560-mile-high (900-kilometer) orbit before it enters service for the Russian military to eavesdrop on radio communications. The Russian Defense Ministry designed the new satellite Kosmos 2528, using the Russian military’s catch-all naming scheme for defense and intelligence spacecraft. 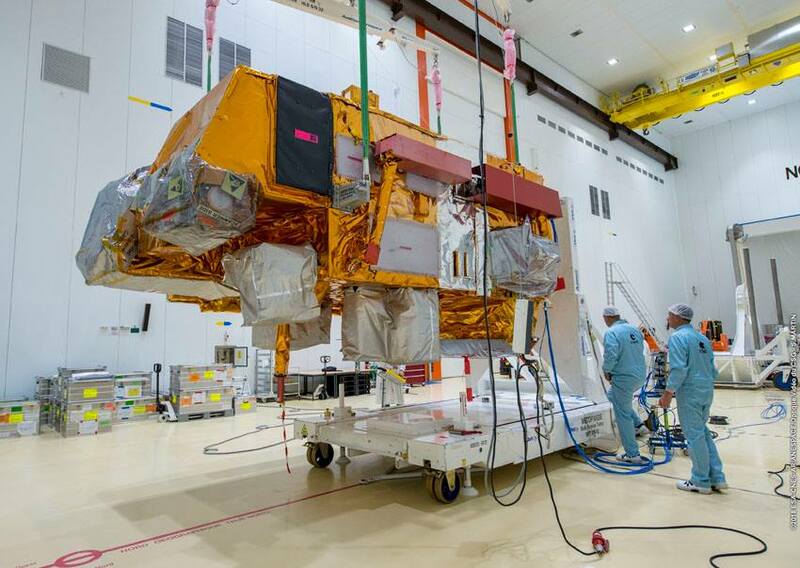 The fourth Lotos-S1 satellite, like its predecessors, was built by KB Arsenal, a Russian military contractor in Saint Petersburg, in partnership with TsSKB Progress. According to the manufacturer, the Lotos S1 satellites weigh around 13,000 pounds (6,000 kilograms) fully fueled at launch.